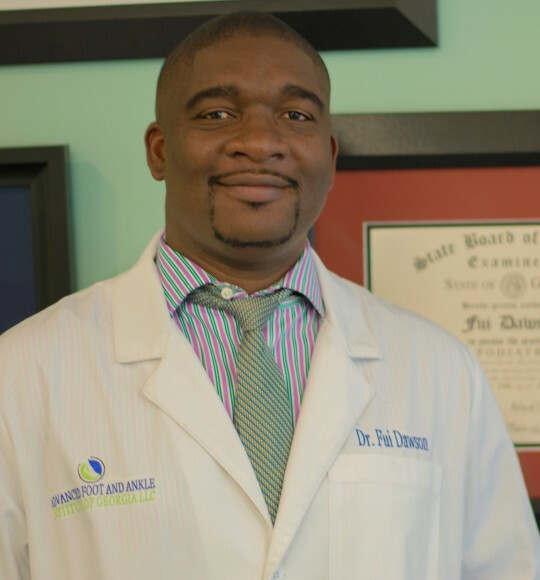 Marietta Podiatrist, Dr. Fui Dawson is a Harvard Trained Foot & Ankle Specialist treating patients in Marietta, GA, and surrounding communities. Dr. Dawson attended McGill University in Montreal for an undergraduate degree in Biochemistry. He pursued his medical degree at the Dr. William M. Scholl College of Podiatric Medicine at the Rosalind Franklin University of Medicine and Science in Chicago. Dr. Dawson continued his residency at the Beth Israel Deaconess Medical Center in Boston, Harvard University Teaching hospital, where he was Chief Resident & Clinical Fellow in Surgery. He has also completed a fellowship in reconstructive foot & ankle surgery and trauma at a top university hospital in Germany. He is board certified by the American Board of Podiatric Medicine and the American Board of Foot & Ankle Surgery. As a highly trained Podiatrist in Marietta, patients visiting Dr. Dawson can receive a full range of foot & ankle services. He provides evaluations for simple and complex foot & ankle pathologies, bunions, hammertoes, foot & ankle arthritis, flatfoot deformity, ankle injuries, Achilles tendon injuries, plantar fasciitis, stress fractures among others. Specialized treatments that Dr. Dawson performs for patients in Marietta and the surrounding areas include basic and advanced fracture repair techniques, external fixation for foot & ankle deformity correction, sports injuries and arthroscopy of the foot and ankle. 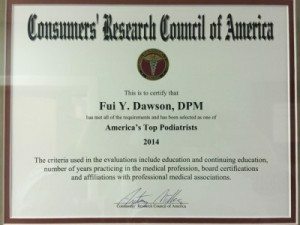 Dr. Dawson is a member of AOTrauma North America, American College of Foot And Ankle Surgeons, American Podiatric Medical Association and Georgia Podiatric Medical Association. When he is not providing podiatrist services to patients in Marietta GA, he enjoys music, tennis & traveling. Explained in detail, what was my problem, what he was going to do to correct it, and asked me did I have any questions. A very nice person.